The North Carolina Pest Management Association (NCPMA) has inducted Billy Tesh into its Hall of Fame, the association’s highest honor. Tesh is the owner of Greensboro, N.C.-based Pest Management Systems Inc., as well as Crawlspace Depot. The NCPMA Hall of Fame recognizes men and women who have made significant life-long contributions to the pest management industry in North Carolina. Tesh joins 25 men and women previously inducted into the Hall of Fame. Tesh has been involved in the pest management industry since the age of 14 (see PMP’s recent profile on him here). With more than 40 years of experience in the pest management industry, he has been active on both national and state levels. 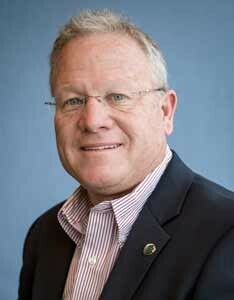 He served as NCPMA president in 1987 and as the 2014-2015 president of the National Pest Management Association. He has been active in public policy and legislative committees for both organizations for many years. Tesh owns and operates Pest Management Systems Inc., which he co-founded with his wife in 1984, and is a graduate of North Carolina State University. The induction ceremony was held during the NCPMA Pest Control Technicians’ School in Durham, N.C., in January.